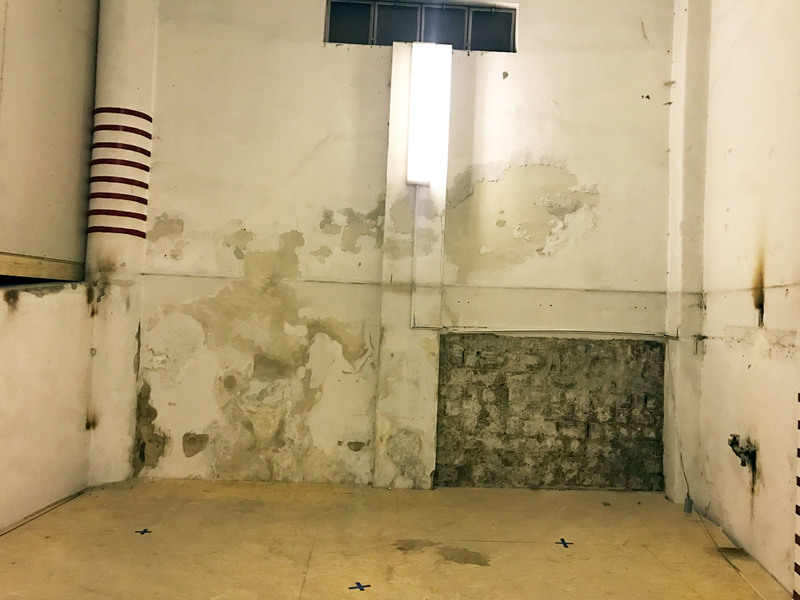 To make this course properly, we need to set it in a clean, functional environment. There are too many videos with terrible sound, poor lighting, and set in a garage that's filled with piles of irrelevant scrap. When I started this project I wanted us to create a series which gives a deep understanding of car engineering. I believe that if people truly understand how something works, and why it is designed the way it is, then that knowledge is enough to carry them through nearly every task they'll do in the garage: from changing brake discs to stripping an engine. And to really show how the car works we need to be able to focus on the parts. When we talk about positive crankcase ventilation you want to a) see clearly what we're discussing and b) not see things that don't matter. All this is to say... the setting of this video is super important. We have a great space in the heart of Budapest (you're welcome to visit!). It has high ceilings for lighting, and clean white walls. The only downside is that the floor is ramped on quite a steep incline. Obviously we need a flat floor, or the video will largely feature us falling over and toolboxes rolling into the back wall. 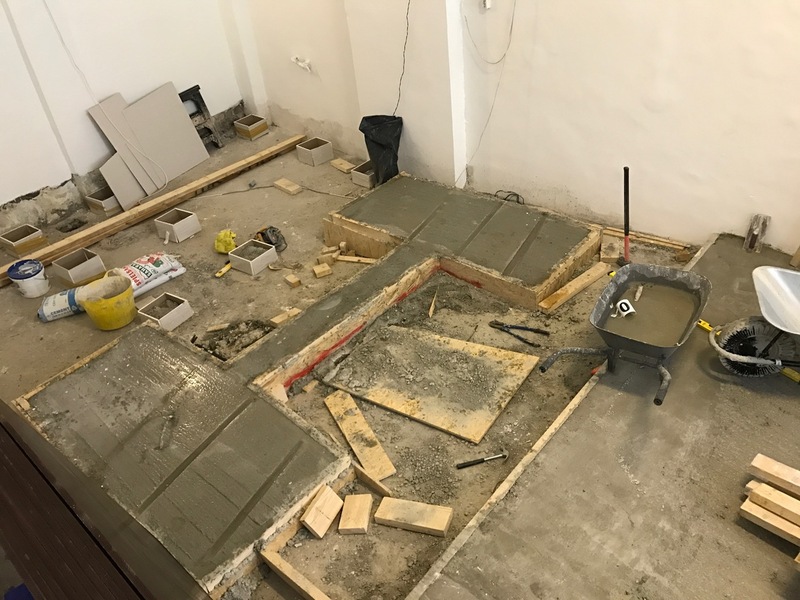 Initially we thought we'd just pour a level concrete floor to fill the ramp. But, on inspection, that would have required a slab of 8m3 of concrete around 60cm thick, which weighs 20,000kg. Even on firm ground that would pose an issue. Plus it would take a minimum of a month to dry out. So that idea was right out. Instead, we designed a much smaller H-shaped pad of concrete to support the two-post lift that we bought. This pad needed only 2.4m3 of concrete. But then we spent a full week searching for a company to deliver this volume of concrete - it's too much to mix on-site, and almost too little for a concrete mixer. Absolutely everyone we called refused to even discuss the delivery. Budapest is in the midst of a property boom, and there's no shortage of work for these trucks. Our studio is in the city centre, which is made of narrow streets. In despair I went to the biggest concrete factory in town and annoyed the owners for two hours trying to persuade someone to make a delivery for us. And it worked, the next day at 8am a concrete mixer arrived. While the driver smoked non-stop, we wheelbarrowed the mix into the garage and poured everything we needed. It was a hard but satisfying one hour of work. The remainder of the studio floor is a suspended floor built from timber, doubled to take the weight of a car. 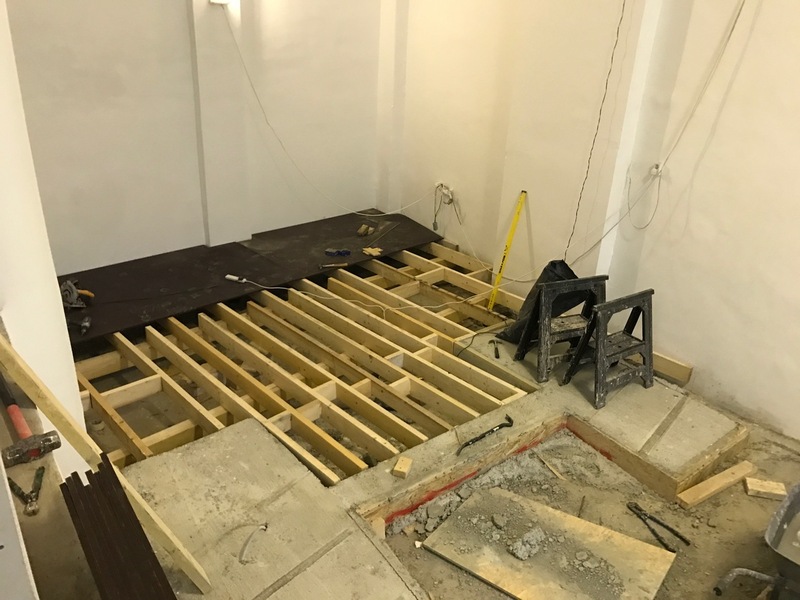 It's been quite a feat of engineering - but now the concrete is in, the frame for the floor is built and on Tuesday (it's Easter Monday, no noisy work allowed in Budapest) we cover this frame with plywood and start installing the lift. We could definitely do this project without raising the car off the ground at all. But I want us to show things from the clearest possible angle and so it is worth the investment and time to be able to shoot from above, below, the sides, and eye level. I gave a lot of thought to how we raise the car in a way that doesn't obscure its parts. We discussed building a custom frame that would support the four corners of the car. We talked about fixing winches to the ceiling and lifting the whole car on chains leaving a completely free space underneath. This is clearly an incredibly dangerous and stupid idea. It's seriously heavy. In total it weighs 800kg and the delivery guys wanted us to use a forklift truck to unload it. 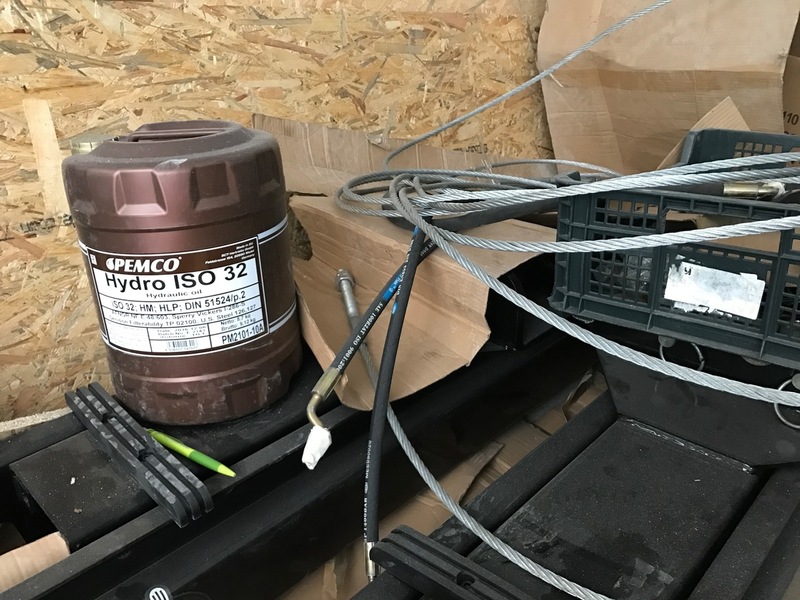 We don't have a forklift, but we do have four guys and so we split the crate down on the truck and carried the parts into the studio. Mounting a lift to the ground requires a very strong concrete base, to which it is bolted with ten anchor bolts. The concrete needs to be of strength C20 and the lift should come with plans for the foundations it requires. There isn't a global brand for car lifts - these are heavy pieces of engineering and so in Europe there's no-one supplying the same lifts as are available in the US. This one came from Germany - I'm not sure if it was made there, or in China, but it's extremely sturdy. I would not feel comfortable trusting my life to the cheapest Chinese-made car lift. We completely repainted the studio this week to give us some fresh walls.